Sheriff Spencer was a character that grew quickly, but organically. Most of his development happened on the page, as I was drawing him. 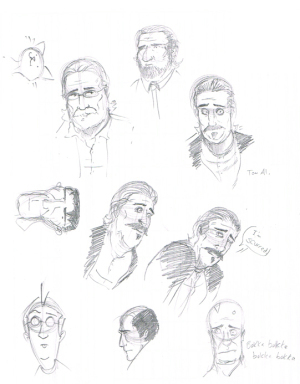 In the original sketches, I (for some reason) tried to make him look like a younger Edward James Olmos, but, in my attempt to make him look like somebody real, I lost the style and, suddenly, I had a realistic face in a cartoony world. 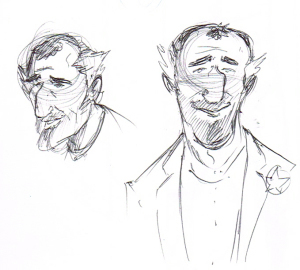 First attempts and designing sheriff Spencer. Second and final design of sheriff Spencer. I’m not an expert prosodic analyst, but this imagery of a man somewhat blindsided as well as accepting of his defeat is powerful. 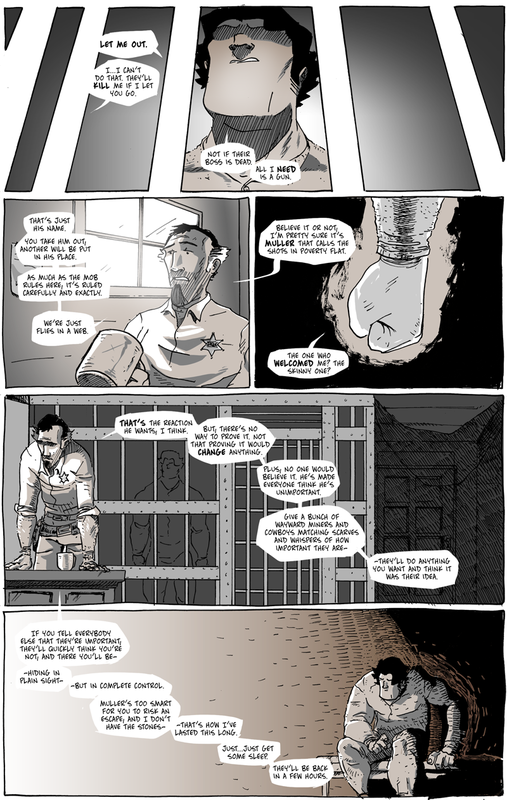 That came to mind as I drew Sheriff Spencer looking into his mug, and my first thought upon that realization made him a much more sympathetic character to me, which altered his dialogue as well as his acting on this page, the previous page, and those still to come.